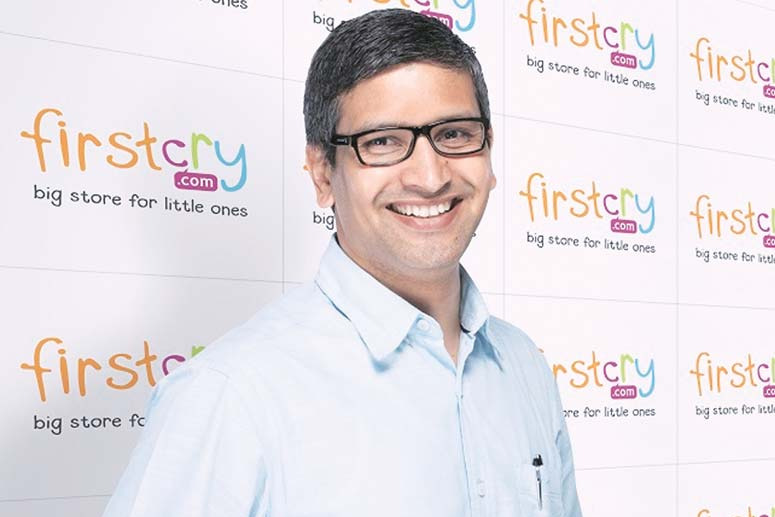 FirstCry founder Supam Maheshwari is one of the only entrepreneurs in the online-retail space who was also running a business during the 1999 2000 dotcom bubble, which has perhaps helped him chart a different course from his peers. His company started adding offline stores in 2012 when omni-channel was not the buzzword, FirstCry is based out of Pune and not startup hotspots of Bengaluru or Delhi, and he has also been able to spin off a logistics business. And on Saturday , Maheshwari pulled off a unique transaction where his company acquired Mahindra BabyOye in a stock deal and also secured an investment from the $18-billion conglomerate. By consolidating its largest competitor, the 42-year-old Maheshwari will now be the CEO of by far the largest baby and mothercare retailer in India, both online and offline. "His ability to think strategic and macro, and suddenly go deep micro is something very unique," said Sudhir Sethi, chairman of IDG Ventures India, which invested in the company in 2012. "He is extremely comfortable with extremely comfortable with uncertainty, and charting out a new path which has not been done before." Players in the online commerce market will now keenly watch Maheshwari, who unwinds by playing squash on weekends and spending time with family, as he integrates the offline operations of Mahindra BabyOye and FirstCry to build an omni-channel play. "There is no divide between on line and offline channels, as from a customer's point of view it's retail," said Devangshu Dutta, CEO at retail consultancy firm Third Eyesight. "Omni channel holds potential over the long term and companies need a management team which understands the business." But the going has not always been so smooth for Maheshwari, a mechanical engineer from Delhi College of Engineering and MBA from IIM-Ahmedabad, who knows he has his task cut out. He started his first company , eLearning startup Brainvisa Technologies, in March 2000 which raised `3 crore from Infinity Ventures 3-4 months before the dotcom bubble burst. The business started as a customer facing online test preparation play but had to pivot to a business-to-business model. After running the business as CEO for over seven years, it was acquired by Indecomm Global in 2007 for $16 million where he also saw impact on corporate business of Lehman Brothers brankruptcy. "You become richer by experience, there is no shortcut to it. Importance of cash, running a business in a cost-efficient way and building that culture internally is very important," said Maheshwari about his Brainvisa experience. Maheshwari said that he has applied these lessons at FirstCry , which he founded in 2010 with Brainvisa colleague Amitava Saha. He was also the first online retailer to start adding online stores in 2012, a trend which has been followed by several vertical etailers now. And in 2012, he also launched a logistics business to fulfil its own orders. XpressBees, which is now run by Saha, started taking third-party orders in 2015 and raised `85 crore in funding after spinning off from FirstCry. But along the way, he has also taken some tough calls, like shutting down the personal care products selling business Goodlife in 2013 admist funding winter in ecommerce space. People who have worked closely with him say Maheshwari is a tough taskmaster, and great at spotting opportunities which will help him expand his business, even if they don't fall into conventional methods. "He is very driven and committed to the cause of the business," said early-stage fund India Quotient's Anand Lunia, who was a cofounder at Brainvisa. "He does not think theoretically and gets stuck to a particular notion of strategy , which is what most startups do."